The rubber boa snake could not have been given a more appropriate name as its loose and wrinkly skin does give the feeling that it is made of rubber. 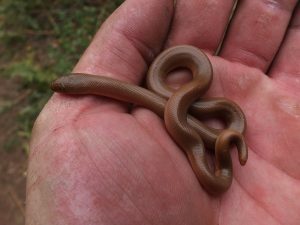 One of the earliest of the boa species, even older than the much larger boa constrictor, this small reptile is found widely across North America. 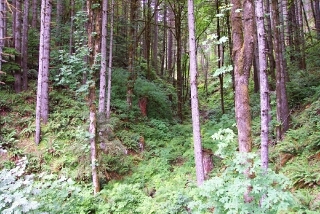 Predators Raccoons, cougars, coyotes, ravens, birds of prey, cats, etc. One of the most docile of snakes, the rubber boa has never been known to strike at or bite a human being. If it feels threatened, it releases a potent odor aimed to drive the trouble away. 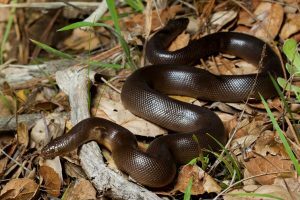 It is nocturnal, and possibly crepuscular, also being adept at swimming, burrowing and climbing. It is a very secretive and shy reptile species. 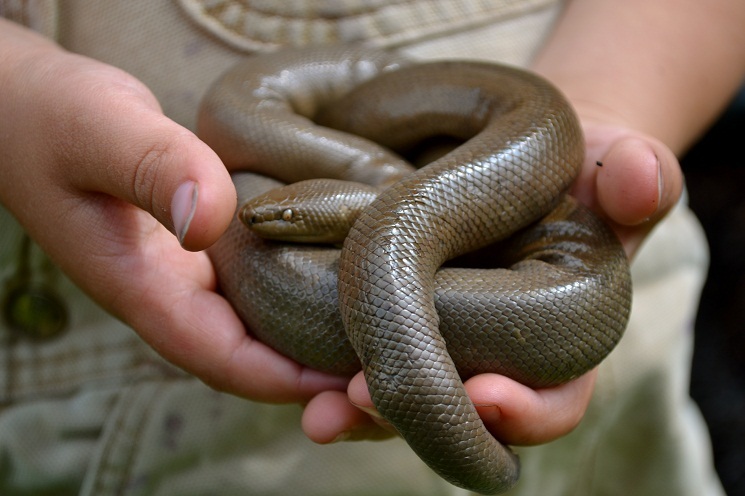 Rubber boa babies are born with a length of 7.5-9.1 in (19-23 cm). 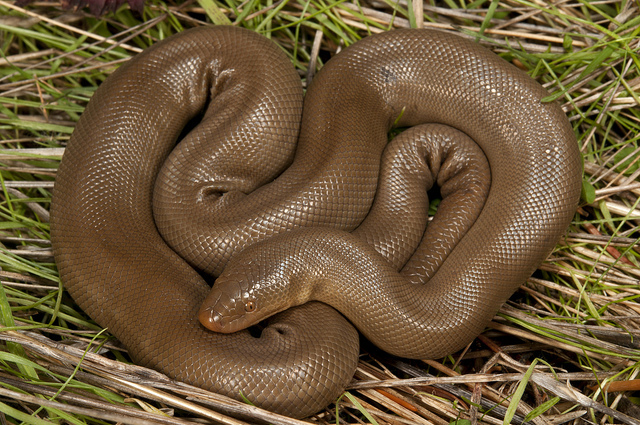 They reach sexual maturity at about 2 years of age. 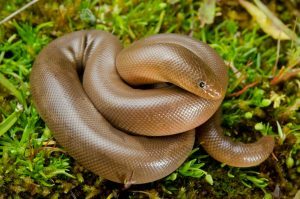 The tails of a rubber boa are often scarred due to attacks from parent rodents while the snake is busy eating the young from their nest. The rubber boa is rather popular as a pet due to its disposition and is constantly put up for sale across the continent. 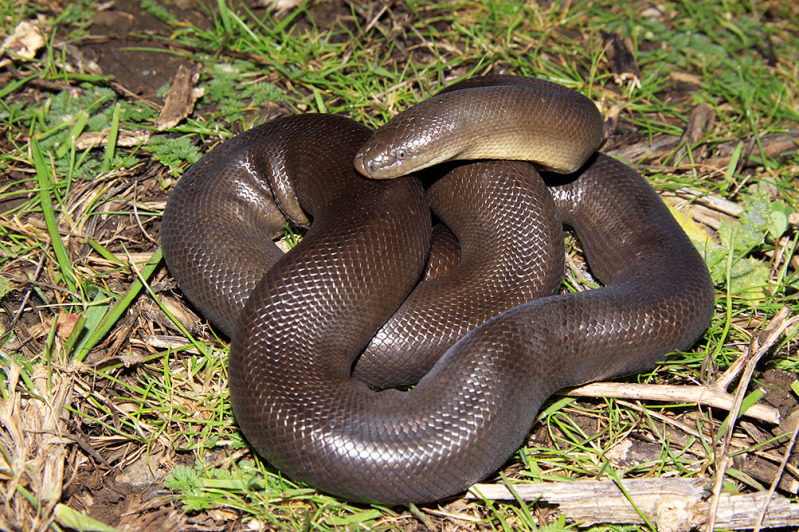 There is considerable debate as to whether the southern rubber boa (Charina umbratica) should be considered a subspecies of the rubber boa. Published on November 4th 2016 by Sudipto Chakrabarti under Coniferous Forest Animals.